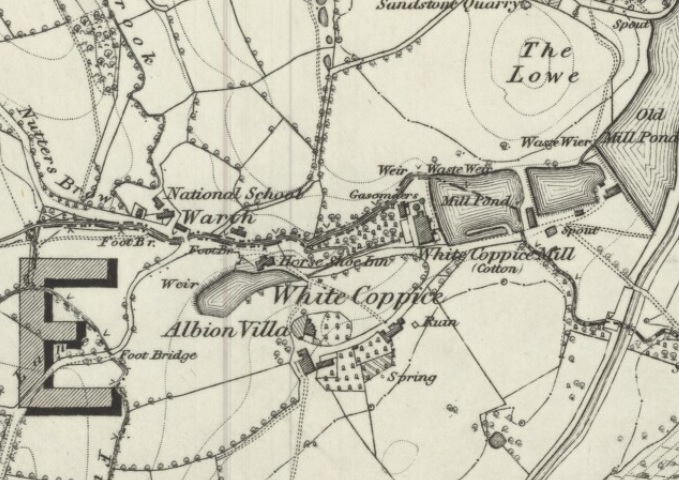 The Inn is clear to see on the map above, situated on the south side of Coppice Lane adjacent to the reservoir below Albion Villa. Very little is known about the Horse Shoe Inn in White Coppice other than it had the distinction of being the only Inn in the hamlet and was eventually closed down by Alfred Ephraim Eccles who was the owner of the White Coppice Mill c.1900 and a fearsome supporter of the Temperance movement. 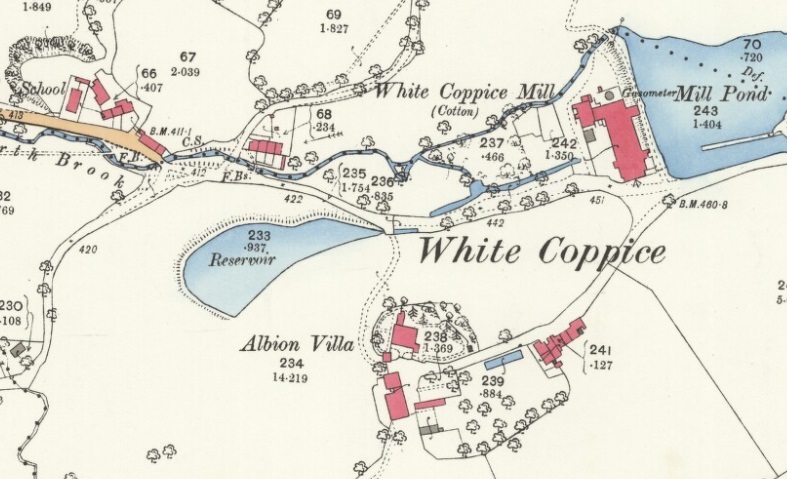 White Coppice is a pretty hamlet situated at the foot of the West Pennine Moors, and consists of stone cottages, which were originally built for workers in the weaving mill, which has now been demolished. The 18th century cottages known as 'The Row' are good examples of the period. 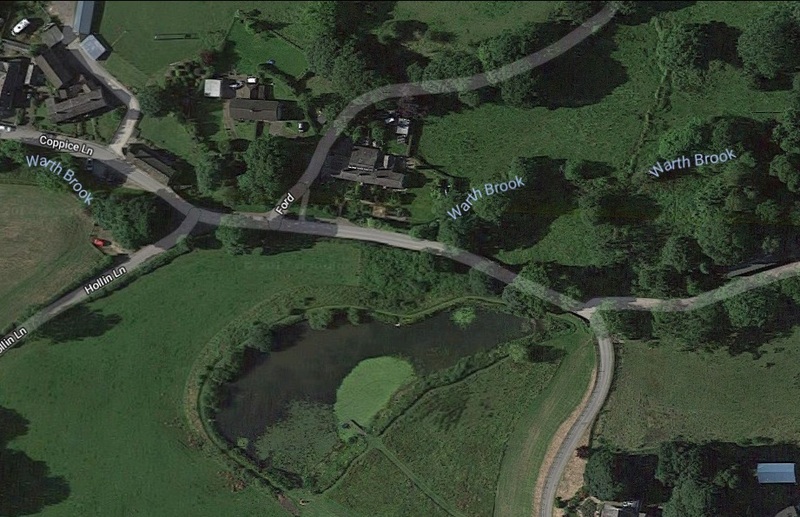 The mill was powered by a water wheel fed by a reservoir, which can still be seen adjacent to the cricket field. Alfred Eccles, the mill owner, devoted much of his life to the Temperance movement refusing to allow a licensed establishment in the area and even today this still applies. Farming and quarrying were alternative sources of employment and the hamlet had its own school, owned by St Barnabas church at Heapey. The school is now a private residence. White Coppice is also the birthplace of Henry Tate in 1819 who funded the Tate Gallery on the banks of the Thames . He made his fortune by discovering the method of turning loaf sugar into cubes. By 1892 the Inn was no longer recorded on the map below and appears to have closed and been demolished many years before.